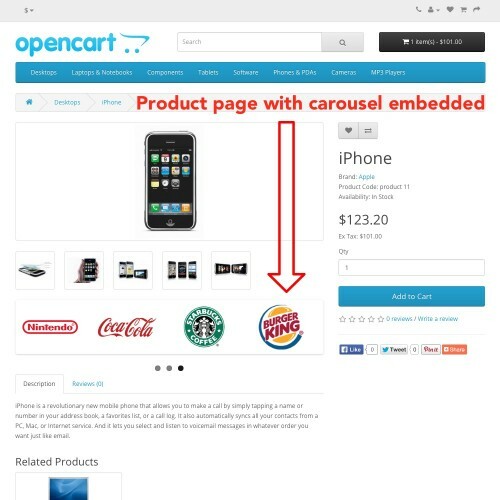 Display any module in any location you want! All you need to do is (1) choose the module you want to place on the page, (2) find the CSS selector of the element you want to hook the module onto, and (3) choose to position the module before, after, or within that element. 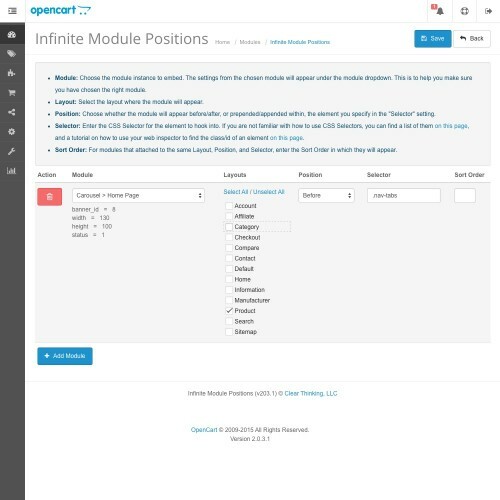 The module will then be displayed in that location on whatever layouts you've chosen in Infinite Module Positions. 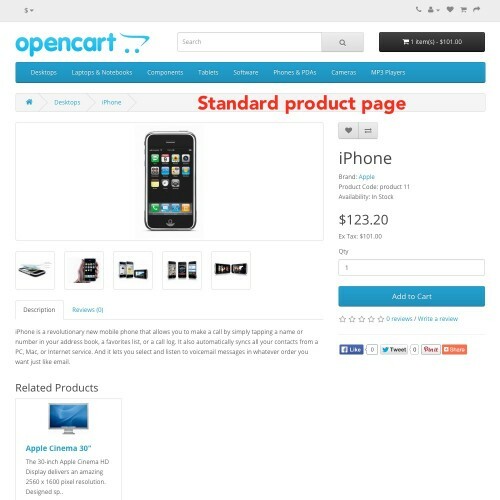 Upload and go — utilizes vQmod so no core file modifications are necessary. 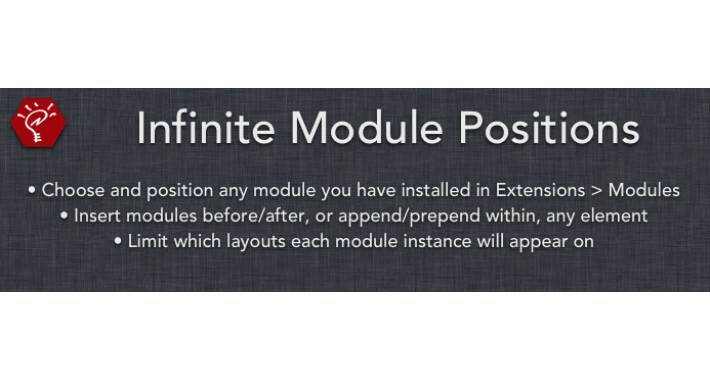 Choose and position any module you have installed in Extensions > Modules. Limit which layouts the module will appear on. Insert modules before/after any element on a page (like a <div> or <span>), or append/prepend the module within that element, or replace the element completely with the module. Includes tutorial links in the admin panel, for those unfamiliar with how to find an element's id or class using a browser inspector.